I'm always amazed at the unusual way my creative team chooses to use papers, elements, and photos. 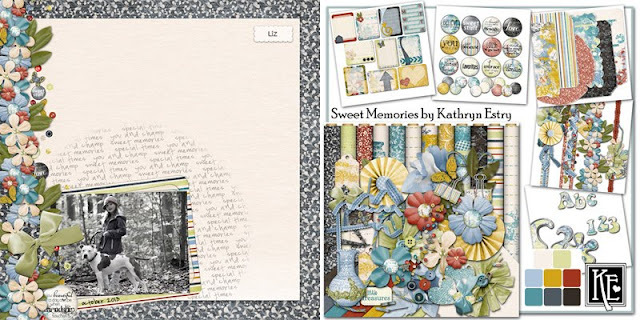 Liz used Sweet Memories and shows us an unusual way to use journaling. Here Liz uses tags (made smaller) as laces to connect two papers. How clever! Terry shows us how a frame (circular lace) can be tucked behind a photo as an embellishment. 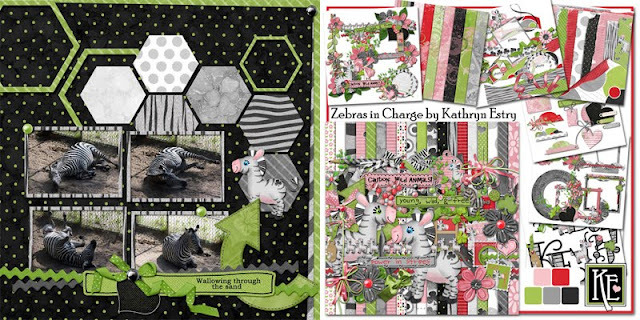 Yvonne made the next three photos using West Coast, Yvonne Boulevard (a collection I made in her honor), and Zebras in Charge. 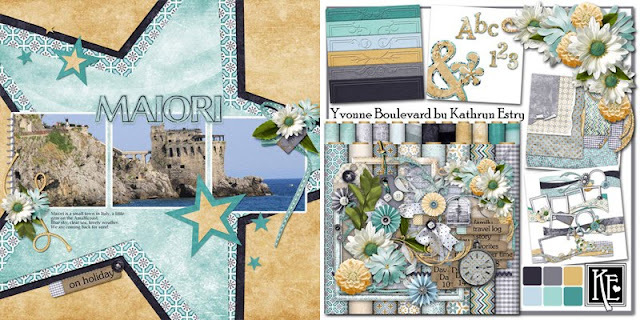 She's framed part of the Eiffel Tower and put an effect on the photo in the first one and cut papers into interesting shapes (stars and hexagons) in her other two. My favorite U collection is Uptown Girl. 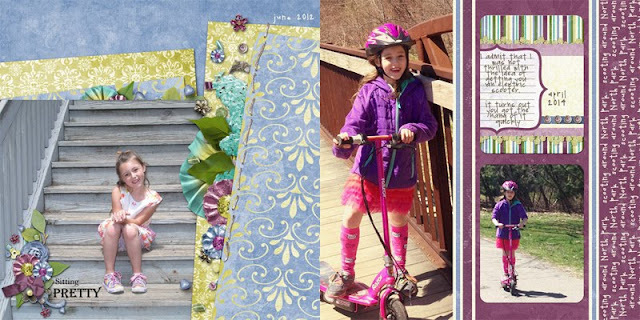 It's great for all girly photos, and some lovely pages were made by my creative team ladies. 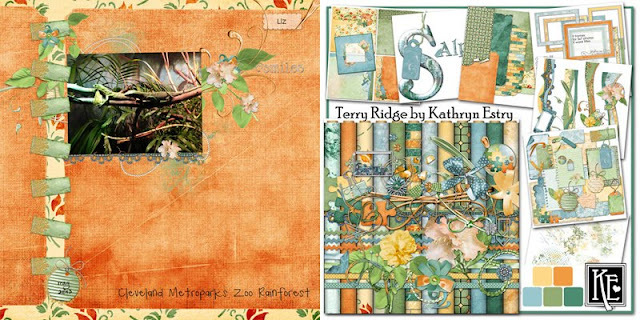 Enjoy these pages by Rhonda and Liz.